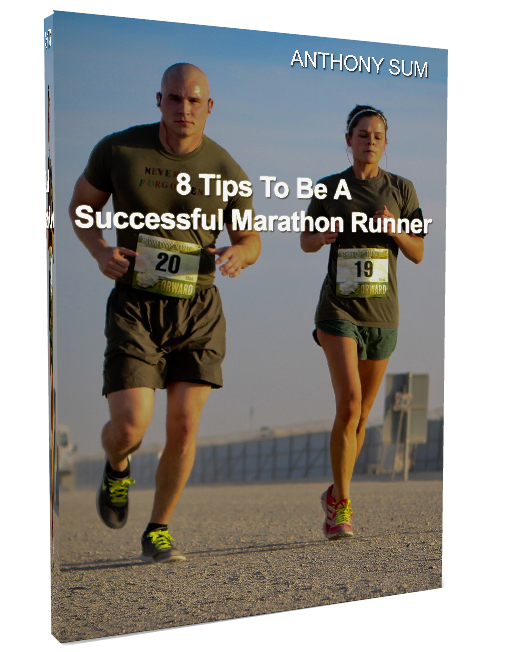 Week #5 of Ops NightHawk structured marathon training for Sundown Marathon saw the NightHawks hit their longest training run in the program. 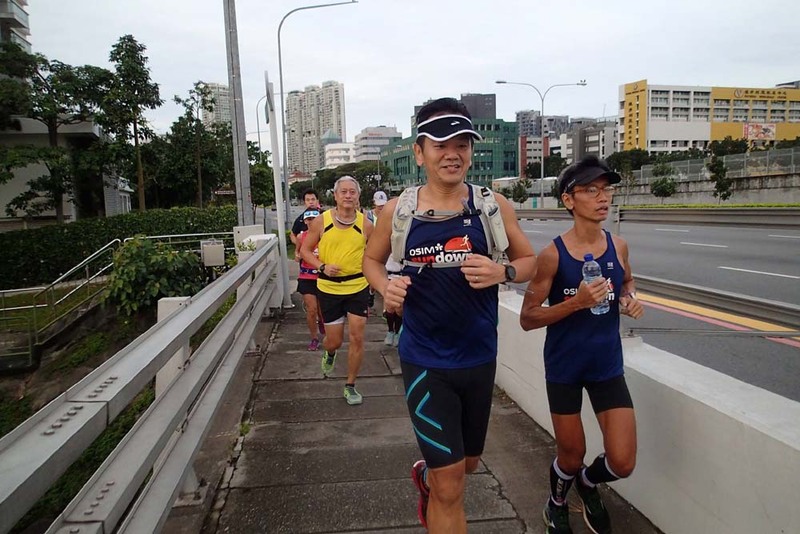 Coupled with an mid-run transition of pace from BaseBuild to Marathon Pace, the runners dug deep and came out strong to hit the sweet spots of their respective training targets. 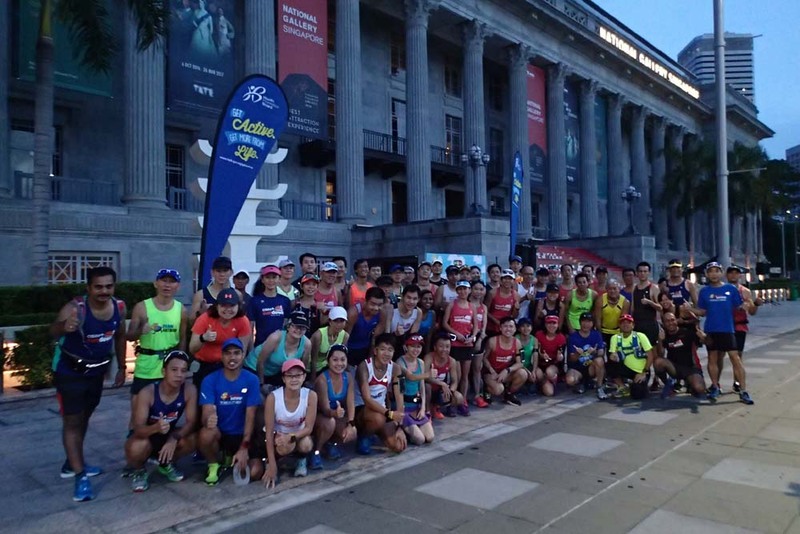 Together with the Sundown Pacers, the NightHawks assembled very early in front of City Hall where the Car Free Sunday (CFS) was scheduled to start in 90 minutes. 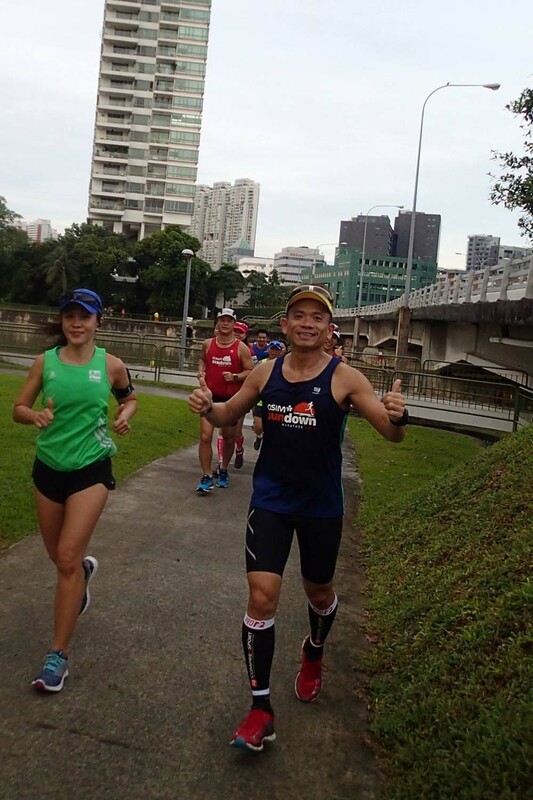 After a quick route briefing, the respective pace groups ran the first loop along the Kallang Riverside Point and back to Shenton Way for 14km. The cloudy and windy morning provided a cool start to the NightHawks who were pacing themselves steadily along the rather new route to many of them. Looking a lot stronger with the few weeks of foundation building under their wings, the NightHawks and Pacers were aiming to hit target paces for the whole training distances of 19km (Half Marathon) and 30km (Full Marathon). 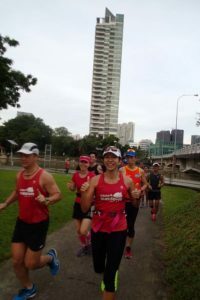 The front groups returned to Shenton Way at 8am, just in time to meld with the CFS runners who had just been flagged off. 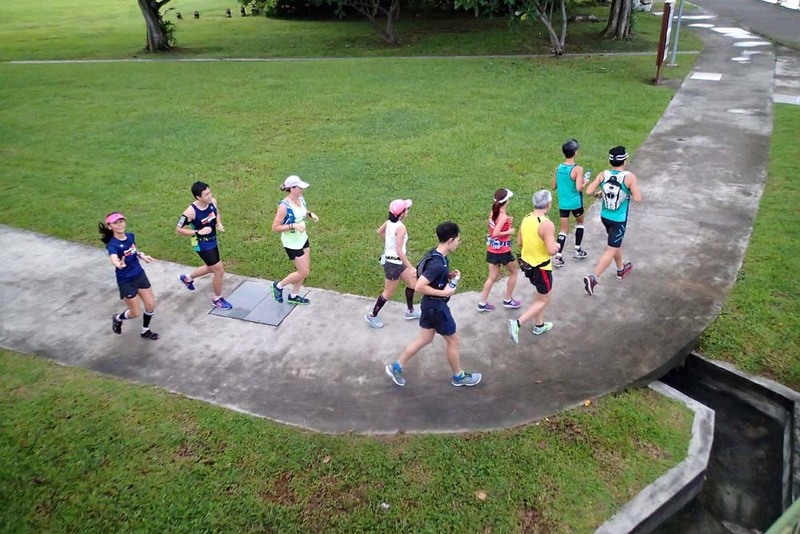 There were groups of cyclists and mobility scooters already plying the 5km CFS circuit that had been closed to allow the smooth and safe passage for the exercise enthusiasts who were out in force. 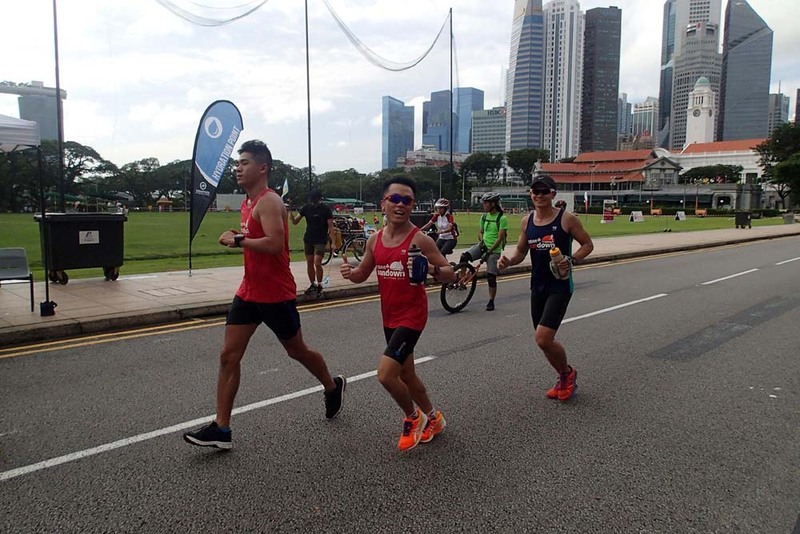 Isotonic drinks and mineral water were provided as the runners made their laps around the CFS circuit. 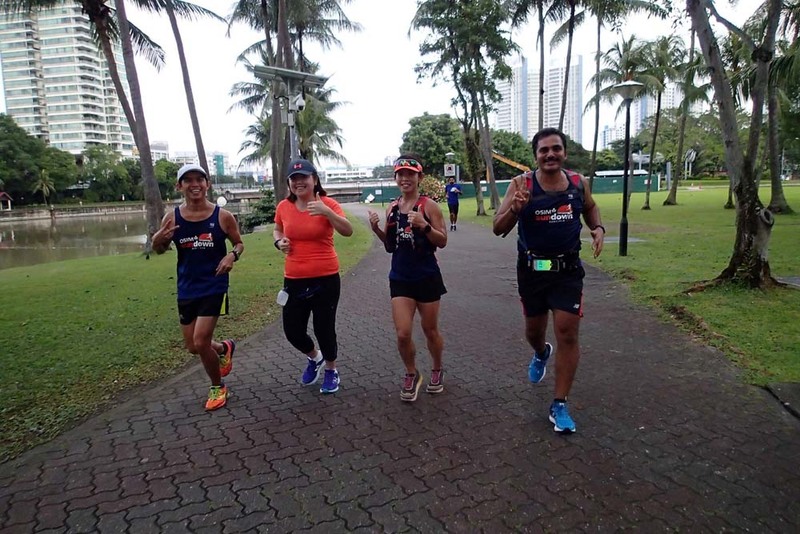 The HM NightHawks completed their their second loop by 9am, for their longest distance challenge of 19km, with half of that done at Marathon Pace (MP). 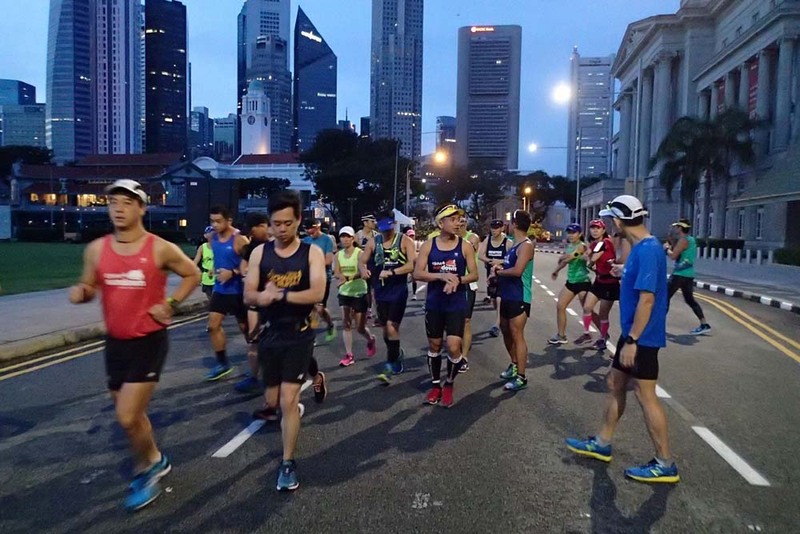 The Full Marathoners went about their respective groups to complete 2-3 more CFS circuit loops to achieve their longest distances to date of 25km-30km, with half the distances ran at MP. 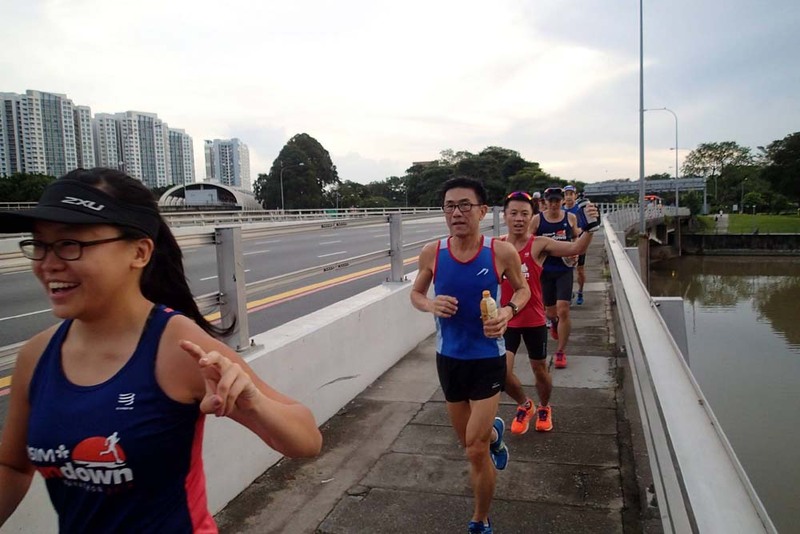 It was a good showing by all NightHawks and Sundown Pacers who ran very consistently and maintaining their targeted average paces. This was in spite of the GPS signals going all awry whenever we ran inside the City Centre full of tall buildings. 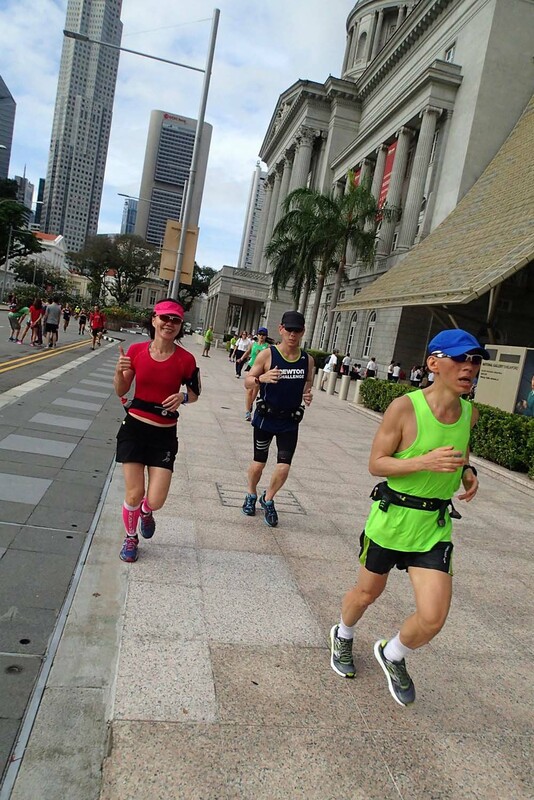 Even the threat from the zig-zagging cyclists (who often cut into our runners’ pathways) could not deny their determination to complete this all important long distance training run. The sun’s rays came beating down on us at 9am, which made the flock even more determined to complete the challenge and show that they meant serious business. With very little stoppages and disruptions, the NightHawks completed the who training at 10.15am, well within the maximum allocated training time. 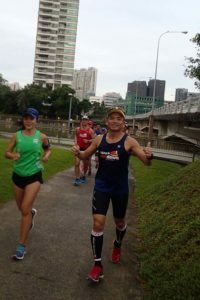 More satisfying was the confident running form and relaxed manner of the runners even after having run more than 25km. 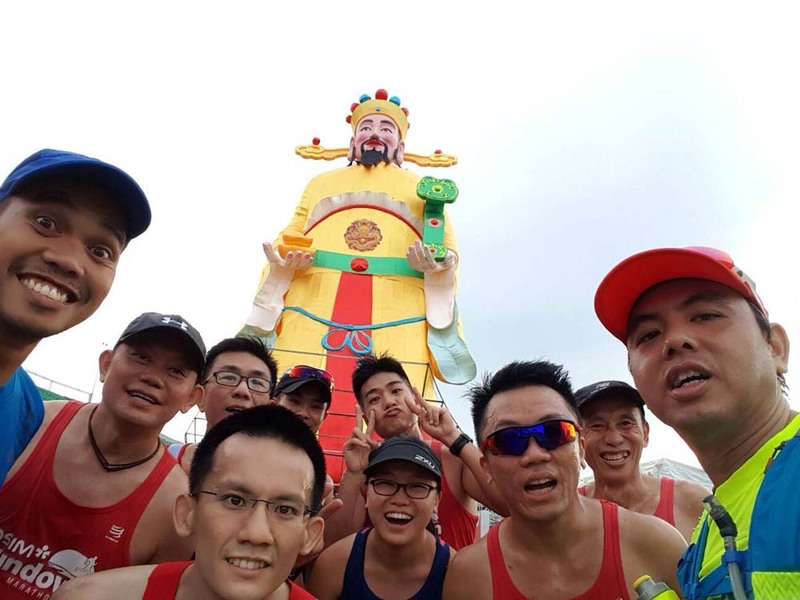 It is comforting to see the NightHawks finishing strong as we enter the festive season of Chinese New Year where there is a 1 week break from face-face training with their trainers. We are confident that they will return on 4 Feb with little loss to their aerobic base for week #6 of training at the Sports Hub.